Viral infections: Acute viral infections, such as colds and influenza may lead to temporary leukopenia. In the short term, a viral infection may disrupt the production of white blood cells in a person's bone marrow. Blood cell and bone marrow conditions: These can lead to leukopenia. Examples include aplastic anemia, overactive spleen, and myelodysplastic syndromes. Cancer: Leukemia and other cancers may damage the bone marrow and lead to leukopenia. Infectious diseases: Examples include HIV, AIDS, and tuberculosis. According to a 2015 study, women with tuberculosis are more likely to develop leukopenia than men. Autoimmune disorders: Some of these kill white blood cells. Examples include lupus and rheumatoid arthritis. Birth disorders: Also known as congenital disorders, these may lead to leukopenia. Examples include Kostmann syndrome and myelokathexis. Malnutrition: Certain vitamin and mineral deficiencies may lead to leukopenia. Examples include deficiencies in vitamin B-12, folate, copper, and zinc. Sarcoidosis: This is an overreaction of the immune system that leads to small areas of inflammation in the body. It can also affect bone marrow. If a medication is causing leukopenia, a doctor might recommend that a person stops taking it or tries a different type. A person should never stop or change their medication without first consulting a doctor. 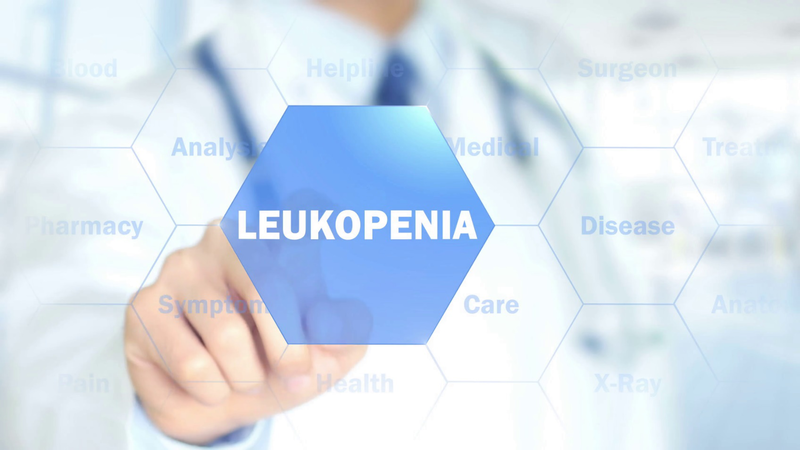 If a person has cancer and their chemotherapy is causing leukopenia, they may need to pause their treatment to allow their white blood cells to replenish. Treatments that use growth factors, such as granulocyte colony-stimulating factor, may help leukopenia. These are often used when chemotherapy is causing leukopenia or if the cause is genetic.